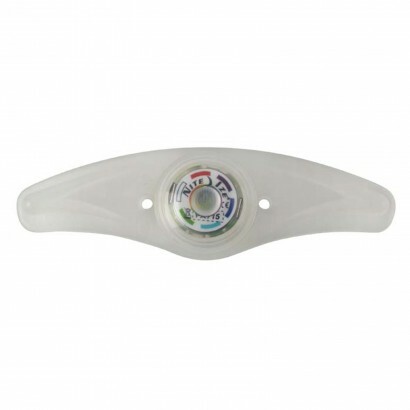 Pop a Spokelit Disc-O Select onto your bike spokes and see your wheels come to life with trails of light whenever you ride! 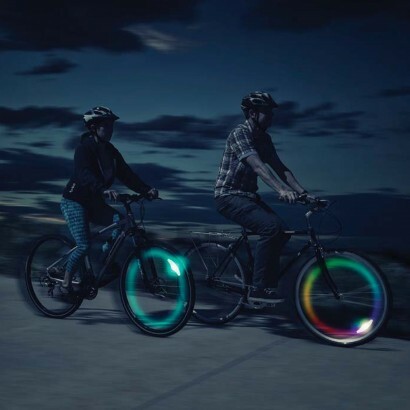 Choose from colour change light or your favourite static colour and see your wheels create stunning circles of light when you ride in the dark. 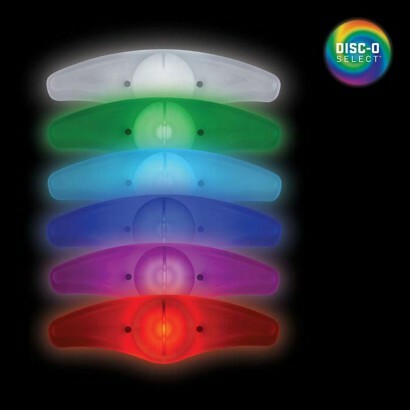 A brilliant way to make sure that you're always seen in the dark, Spokelit Disc-O Selects are not only high visibility, but a lot of fun too! 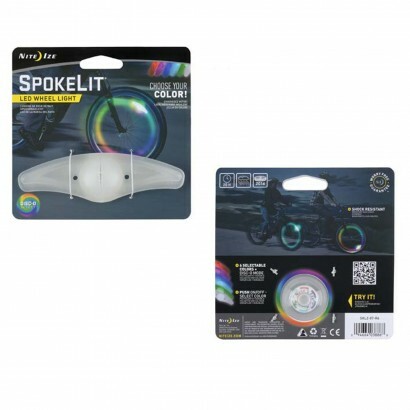 Spokelits fit directly onto your bicycle wheel spokes with a rubber fitting and unique design that allows the light to sit comfortably within your bike spokes, simply give it a squeeze to activate colour change mode, and another squeeze to hold on your favourite colour. Brilliant! Create revolutions of colurful light!